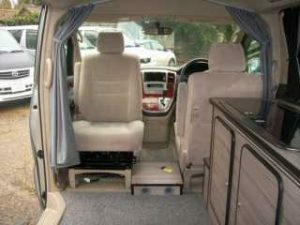 21/03/19: 2003 Toyota Alphard 2.4, twin sliding doors, front and rear parking aids, just had our bespoke full side conversion. Includes swivel front seat, walk through the front seats with out getting out of the van! Fresh import, low mileage high grade import. We are Toyota Alphard specialists over 20 Alphards available 2002 to 2007. We have on site servicing, parts, camper conversions, roof fitting. See more at: www.andysimports.co.uk or phone 07768933521.